Dr. Michael Mechanic began his career as a dentist in 1982, after graduating from McGill University with a B.Sc and D.D.S. He then went on to do a dental residency at the Jewish General Hospital. He has published articles in the Journal of Public Health Dentistry and is an active member of numerous dental societies. With the goal of imparting his knowledge and experience to others, Dr. Mechanic has trained dental students and residents as well as dental assistants for many years. 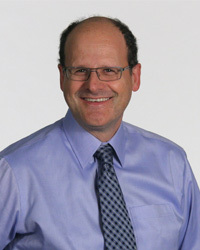 He has held the position of faculty lecturer at McGill University as well as clinical instructor at the Jewish General Hospital teaching fixed prosthodontics, implantology and cosmetic dentistry. Dr. Mechanic has been practicing at the same downtown location since 1984. Dr. Mechanic explains, “I have tailored my practice to cater primarily to the business person. We do our utmost to run on time. It is very rare that patients wait more than a minute or two to be seen”. Dr. Mechanic was one of the first dentists to practice esthetic and implant dentistry in Montreal. However, the focus of his practice has always been to help his patients achieve and maintain optimum oral health. “I get tremendous personal satisfaction saving broken down dentitions and transforming them to give my patients healthy beautiful smiles. However, it is equally rewarding to be able to supervise people with no major problems to ensure a lifetime of great oral health!